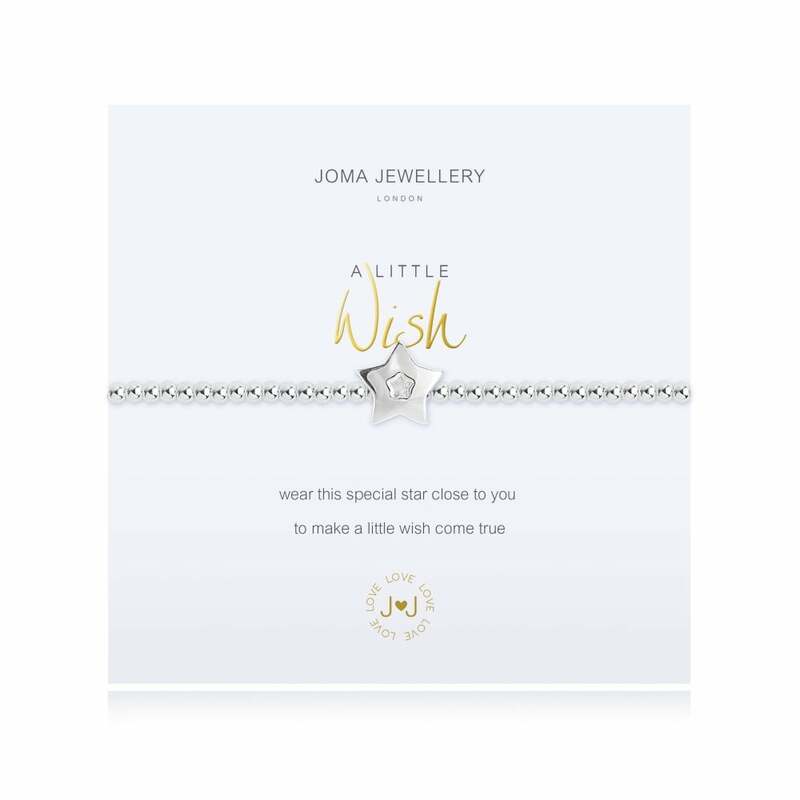 This stunning Little Wish Bracelet by Joma Jewellery is the ideal gift for any occasion for someone special! A Little Wish Silver Bracelet from Joma Jewellery. Presented on an official Joma card which reads 'Wear this silver star close to your wrist and let it hold a little wish'. This beautiful A Little Wish bracelet features a sterling silver plated shining star, it is the perfect keepsake gift for any occasion and would be perfect for anyone with a dream or a wish in life. It is displayed on a presentation card which is then placed in a beautiful gift box. You can also write your own personal message on the back of the presentation card to personalise your gift.